During your stay at Villa Oasis you’ll have free access to our paddle boards and snorkel equipment, but if you want to venture into waters away from our property, we suggest the following companies based upon so many positive reviews from other Villa Oasis guests! Looking for a private sailing charter for your group of 10 or less? Captain Nik and his crew at Sail Beluga offer “Adventures by Appointment” on their 40 foot catamaran! You’ll board at the Caicos Marina just minutes away from Villa Oasis. Be sure to ask about their infamous Beluga Rum Punch! 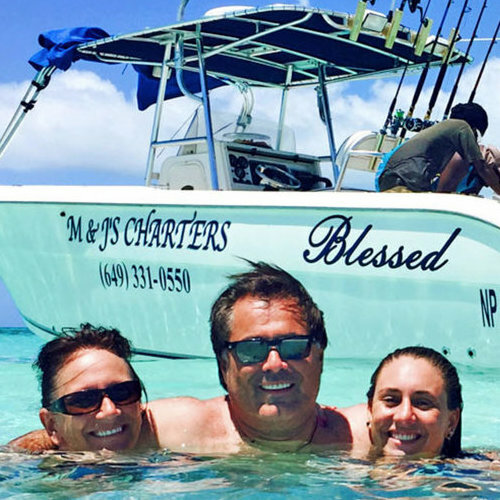 M & J’s Charters offer a unique package where vacationers can experience the beauty of the Turks & Caicos Islands by fishing, snorkeling or simply beach cruising. Scooter Bob’s rents more than just scooters! They rent bikes, boards, cars, Jeeps, vans and more! Based in Providenciales, Surfside provides a variety of water-based lessons, tours and watersports activities for kids, families and small groups.